Purelink Power Centers combine all the features of the AquaLink Power Centers and AquaPure water purification electronics. PureLink Power Centers combine all the features of the AquaLink Power Centers and AquaPure water purification electronics. 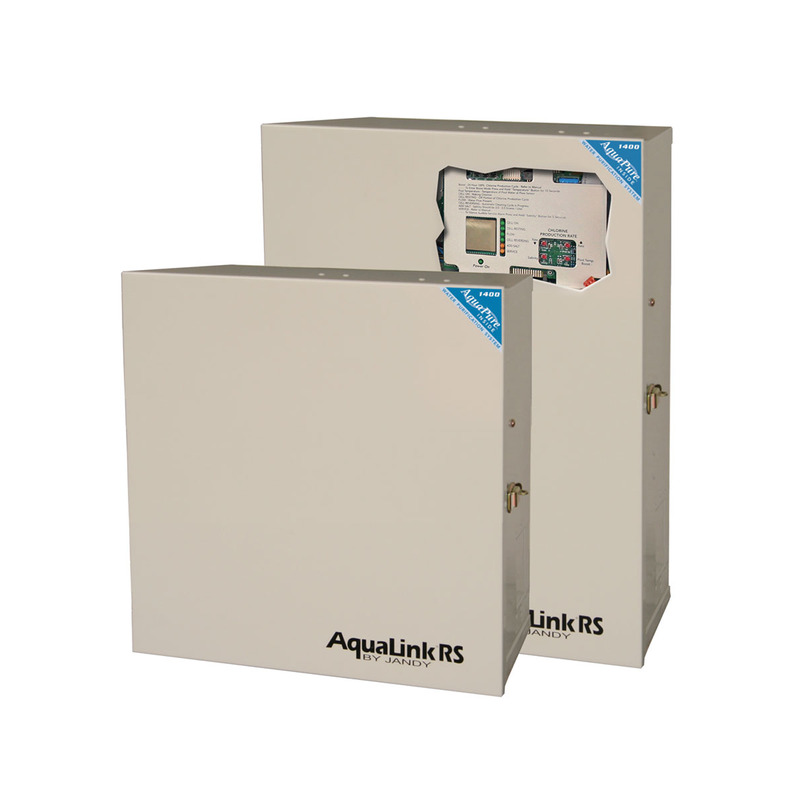 Ideal for pools where AquaLink Automation and AquaPure Salt Water Chlorination will be used together. Includes all electronics needed to power and control AquaPure 3-Port cells and FusionSoft chlorinators. Available with or without sub-panel for circuit breakers. Available in standard and sub panel with breaker mount plate and knockout for GFCI.